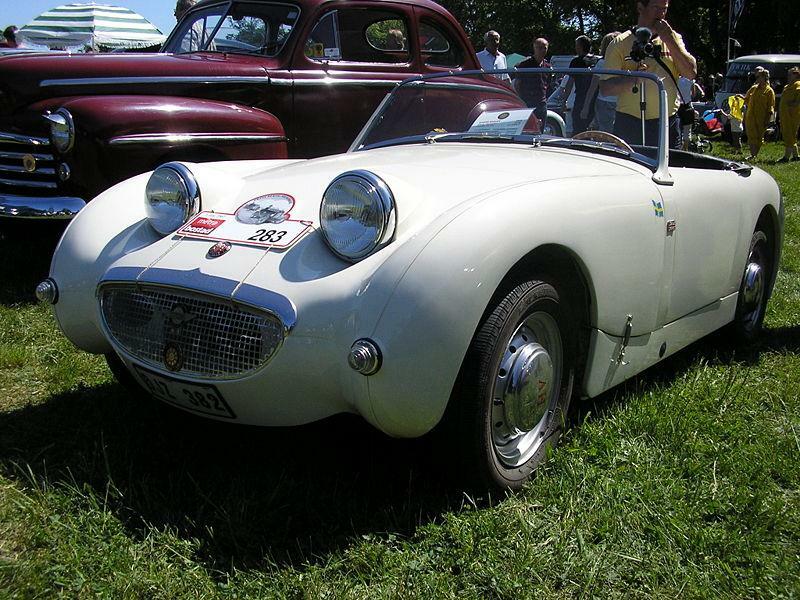 The Austin-Healey Sprite, introduced for 1959, continued the collaboration between Austin and The Donald Healey Motor Company and took further advantage of the massive British Motor Corporation parts bin. Although it was aimed at the very bottom of the sports car market, the Sprite used a modern unibody and offered precise handling if modest acceleration from its 948cc A-series overhead valve engine and transmission with synchromesh on the top three gears. To keep costs down, the independent front suspension was joined by a live rear axle with quarter-elliptic springs, braking was by front and rear drums, and the headlamps – originally intended to pop up – were fixed in the up position. Thanks to the grinning grille and those bulging headlamps, the car was dubbed the “Bugeye” Sprite, or “Frogeye” in the U.K. The Sprite quickly gained a following and they could be seen racing for several decades. Approximately 50,000 Sprites were sold, introducing many to the world of sports cars. Although stock Bugeyes are relatively scarce, many have survived, often with 1275 engines, front disc brakes and other modifications. Although more spartan and slower than later Sprites, Bugeyes are the most collectible by a considerable margin.